Residential Concrete & Paving in and around the Baltimore area! We provide any residential paving services in and around Baltimore MD you may need. Do you want your driveway repaired, repaved, seal coated, or just flat out replaced? Have cracks, or your driveway falling apart in some areas? We’re here for you with professional and affordable services. Have big plans for your patio, pool, garden, or walkways? Our free consultation will walk you through a multitude of options to find one that fits just right. Remember, your driveway is a welcome mat for your guests and adds curb appeal to your home. Investing in having your driveway paved is big decision but there is no doubt that it pays off and feels great to drive upon. Our Baltimore residential paving contractors ensure the job is done right so that there are no water flow problems around the homes foundation, yard or garage when your driveway is either re-paved, installed, or seal coated. 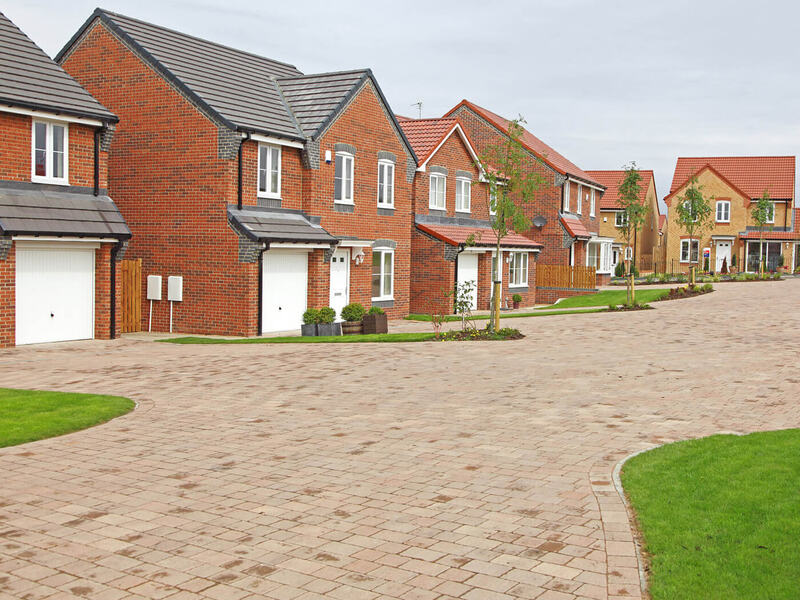 Our high quality pave jobs can give your driveway up to a 20 year lifespan before any more work might need to be done. We provide services at affordable prices compared to other paving companies, but remember that proper asphalt paving is a very precious job which requires expensive equipment. If when you contact multiple paving companies and a price sounds too good to be true or is much lower than your other estimates, tread cautiously because it can cost you a lot in the long run. To ensure a long-lasting job, use commercial-grade asphalt over residential-grade. This does not mean residential-grade asphalt won’t do the job or last though. It just tends to look better – something great if you are selling your home. Q: Can I pave over my current driveway or am I going to need a new one? A: It all depends on the condition of your driveway. If there are many severe cracks and a rutted surface, it’s likely there is a problem with the driveway base and it may need to be replaced. If there are only minor cracks or wear, an asphalt overlay will work great and extend the driveways life. Q: What if my driveway needs to be replaced? A: We will let you know once we perform a survey. If it needs to be replaced, all of the current asphalt will be removed and properly discarded of. We will ensure that there is a proper base material added to ensure a well-built driveway. If we discover any wet or soft areas in the sub base, or the soil layers, they will be removed and filled in with solid materials such as gravel until a solid base is installed. All paving work will be completed with proper asphalt paving machines and proper-weight vibratory rollers. We will then install another layer of asphalt over the compacted asphalt. This compacted thickness is the final thickness of the finished product. Q: What if I only need an asphalt overlay? A: Our paving contractors will first take care of those cracks or holes for you with compacted hot asphalt before an overlay as failure to do so before an asphalt overlay will cause the overlay to fail. In other words, we’ve got all bases covered. Q: Do you ensure proper drainage with the new driveway or overlay? A: Absolutely. From the start we will perform measurements and evaluations of the area to ensure no issues occur. Just because you didn’t have drainage problems before, doesn’t mean a new overlay won’t cause them. We make sure it won’t. We provide the best driveway paving in Baltimore MD, with over 40 happy customers this year! We love to provide the best paving services in and around Baltimore, Maryland. For a no mess, no stress guaranteed a job well-done call us right now for a free quote!